Arkansas Career Education Distance Learning Survey. PCSSD Adult Education distance learning agreement. Students will use Arkansas Career Education-approved curriculum, depending on the student learning plan and student goals identified in orientation. Participate three hours (minimum) per week to maintain enrollment; a minimum of twelve hours each month. Communicate every week with instructor on successes and difficulties with content. Instructor will provide clarification, alternative instruction, and resolution to the learning concerns. Respond to weekly discussion in Canvas. Make a once-per-month on-site (physical) visit at the PCSSD Adult Learning Center to review progress and to re-align learning plans. Reassess on the TABE at 40 hours of instruction (or 30 hours, based on TABE pre-test results) to evaluate the effectiveness of instruction. ELL students will reassess on the Best Literacy test. Complete the survey at the end of the course. Instructor will pull student attendance from Canvas and assigned curriculum weekly. Students not meeting enrollment criteria will be contacted. Thirty (30) days of no contact and/or activity in class will result in access to the curricula being frozen from the student. The student must make contact with the DL Instructor to have it released. Sixty days of no participation and contact will result in the student being dropped from the distance learning class. 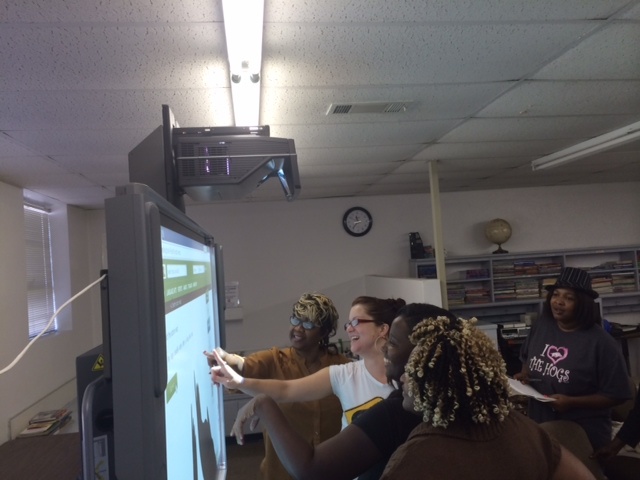 Student will then be required to physically visit the PCSSD Adult Education Learning Center to consult with the DL instructor to determine if re-establishing distance learning is the right vehicle to advance the student’s learning goals. Students Tammish Cloud-Neal and Kennie Kelly with their WAGE Certificates. The Pulaski County Adult Education Main Center is open four days a week. This location provides GED® preparation, W.A.G.E Employability, Customer Service, Banking, Industrial, and Clerical Certificates, and official GED Testing for students 18 and older. Students must first enroll and take the TABE test. Based on the TABE test results, instructors will be able to see what skills need to be learned or refreshed before continuing. Please allow 2.5 hours to enroll and take the TABE. You will need to bring your Arkansas driver’s license or ID and your social security card. Students may qualify to take the GED Ready test by scoring at 535 or more in reading, math, and language on the A (Advanced Level) TABE test and following the Student Checklist for the GED. Once all qualifications are met, the student must pass the GED Ready Test in order to take the Official GED. GED Ready Test subjects are Reasoning through Language Arts, Mathematics, Science, and Social Studies. Students interested in computer classes may enroll in WAGE full time after qualifying on the TABE with 535 or higher. Students with less than 535 will need to refresh their basic skills. For most WAGE certificates, a student will eventually need to earn 535 on the TABE. WAGE certificates are offered in Employability, Customer Service 1 & 2, Banking, Industrial, and Office Technology. Students may also enroll to improve basic skills without working toward a GED or WAGE certificate. Hours: Monday – Thursday 8:00 am- 4:00 pm. 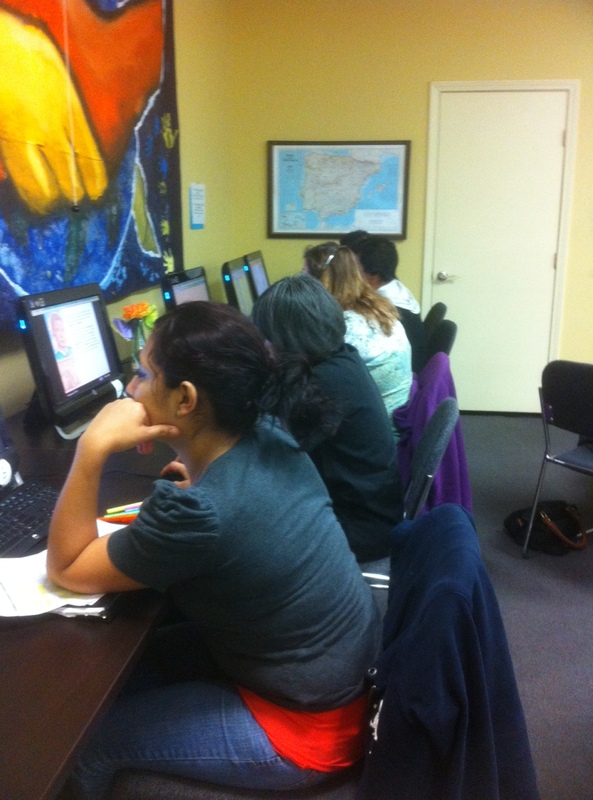 ESL Classes: Tuesdays & Thursday 5:30 pm – 8:00 pm. Instructors: Cynthia Beene, Jane Ann Bilon and Seresa Hall. The mission of Seis Puentes is to support the Latino/Hispanic community of Central Arkansas through education and information. 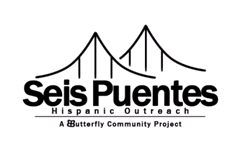 Seis Puentes or Six Bridges, refers to the bridges over the Arkansas River connecting the cities. The name also symbolizes our work to create connections and opportunities between the Latino/Hispanic communities and life in Arkansas. There is an ESL class Tuesday and Wednesday mornings from 10 a.m. till 11:00 a.m. ESL students may also come in any time during the day and work on computer programs such as Burlington English, GED classes, or the WAGE program. Martes y miércoles por la mañana hay una clase de ESL de 10 a.m. hasta las 11:30 a.m. Los estudiantes de ESL pueden venir en cualquier momento, sin embargo, durante el día y el trabajo en las computadoras en programas como USA Learns, Pumarosa Duolingo. Las clases de GED, WAGE y Teknimedia también se enseñan en Seis Puentes durante las horas diurnas. There is also a “Cafecito” on the third Tuesday night of every month. ESL students can practice English and/or use a computer. Coffee is provided and students are encouraged to bring a favorite dish or snack. Hay una noche especial “Cafecito” el tercer martes de cada mes. Los estudiantes de ESL pueden practicar en diferentes actividades de grupo y / o usar una computadora. Se proporciona café y se anima a los estudiantes a traer un bocadillo favorito. What happens in English class? ¿Qué pasa en la clase de inglés? Our ESL classes are divided into three levels, according to the level a student has tested: Beginner, Intermediate or Advanced. The Beginner class is the start of students’ learning to speak, read and write in English. The Intermediate group includes English grammar; reading and writing, and speaking skills. The Advanced group focuses more specifically on upper level grammar, reading comprehension and writing in English. Nuestras clases de ESL se dividen en tres niveles, de acuerdo al nivel que un estudiante ha probado, y que son principiantes, intermedios y avanzados. La clase Beginner se enfoca en aprender a hablar, leer y escribir en inglés. El grupo intermedio comienza a centrarse en la gramática inglesa, más lectura y escritura, y habilidades de discurso. El grupo Advanced se enfoca en la gramática, comprensión de lectura y escritura en el idioma inglés. 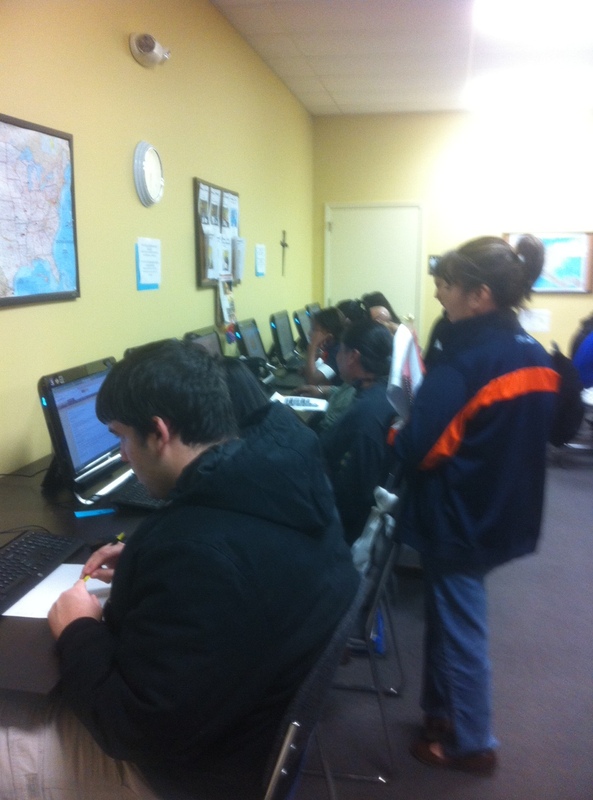 And now we have some English classes in Southwest Little Rock! Ahora tenemos clases en inglés en suroeste Little Rock. lunes, jueves y viernes tengo clases en ingles 9:30-11:30. Lunes y jueves estan en 4600 Baseline, y viernes en 5500 Geyer Springs. Los domingos estamos en FaithSpring, ahorita en 501 S. Bowman. FaithSpring mueven a la region de Market Street en agosto. Todos estan bienvenidos cualquier dia, y todo es gratis. Our Cafecito celebration last night was a huge success! Thanks to everyone who participated and brought holiday goodies. Hi Dejon, Good to speak with you! Let me know if you have any more questions! I can be reached at 501-372-5100 Ext. 1162.